PHILADELPHIA (October 24, 2013) – AFL China announces the rosters for the upcoming exhibition games to be played in Honolulu, HI and Beijing, China on Saturday, November 2 and Sunday, November 10, respectively. 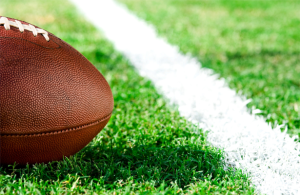 The players were selected from the existing Arena Football League rosters provided by the league office, as well as participants from the inaugural AFL China tryouts that were held earlier this year in Honolulu, HI. The East team will be coached by Philadelphia Soul head coach Clint Dolezel and assistant head coach Phil Bogle, while the West team will be coached by Arizona Rattlers head coach Kevin Guy and former AFL great Cecil Doggette. WR/DB Terrance Smith 6’2 200 South Carolina St.
DL Nui Spikes 5’11 240 West Los Angeles C.C. AFL China is a company created by Martin E. Judge, Jr. with plans to introduce and launch professional American Arena Football in China. For more information, go to www.AFL-China.com. 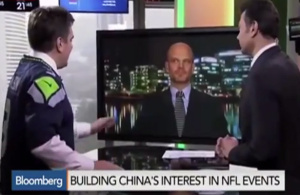 Ganlan Media International (GMI) is a company created by Martin E. Judge, Jr. to introduce and launch professional American Arena Football teams in China. 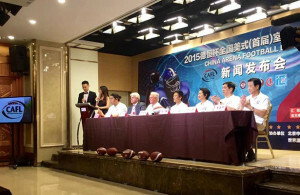 Following an extremely successful trip to Beijing, China, together with its Ganlan Media International partner, AFL Global LLC formally announced plans to further develop professional American Arena Football in China by Fall of 2014 – AFL CHINA. A comprehensive football training program was held in May 2013 in Beijing. Training programs will be available to support and manage the expansion of AFL programs into many more Chinese cities after these inaugural initiatives. Full league play is planned in China for the Fall of 2014 with a combination of American and Chinese players comprising each professional team. ← Older ANNOUNCING OUR ROSTERS!